Just when we thought that the Gold Medal stamps were all done and dusted, a reader points out that the latest update of the Smilers iPhone app is offering users the option of putting a photo into a "future gold medal winner" template, which allows them to type in names and sport, etc by way of personalisation. 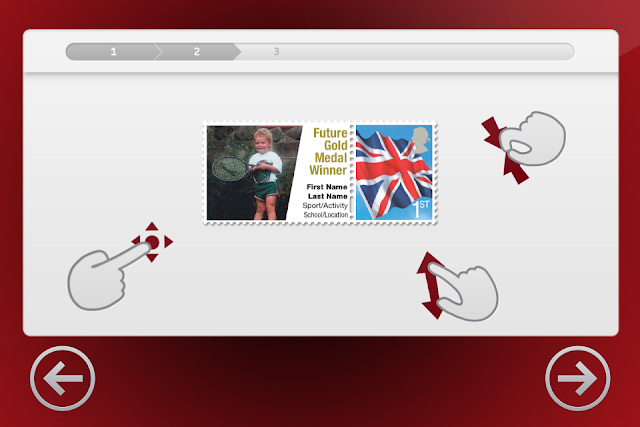 Although these are not stamps as such, you've got to admire Royal Mail's inegnuity for tapping into 2012's Gold Medal mania and allowing Smilers customers the opportunity to create something different. There are two Smilers apps listed in the App Store. You need to make sure you are using the new one - called "Royal Mail Smilers" which is produced by Intelligent AR Ltd, rather than the old one simply called "Smilers" which is produced by Royal Mail Group Ltd. This new one updated on 21 January 2013 (v 1.6) is NOT compatible with iOS 4.2.1. Sorry, but this is really starting to hack me off. 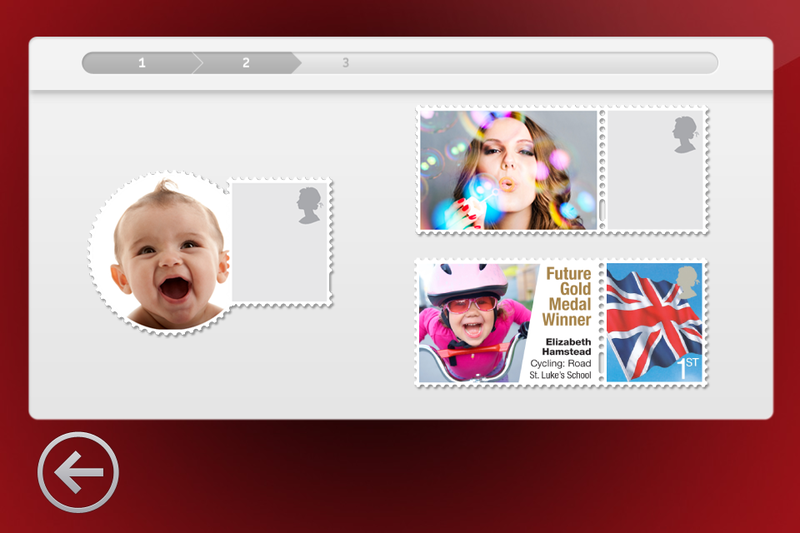 Why aren't these available via the Royal Mail's own web site / the Snapfish site. Not everyone has an iPhone, and even then I understand it's actually quite fiddly to get the pictures lined up (and some are cropped in a way you can't change). Can someone at Royal Mail explain what the reason is, please? Is it the commercial deals they've done? 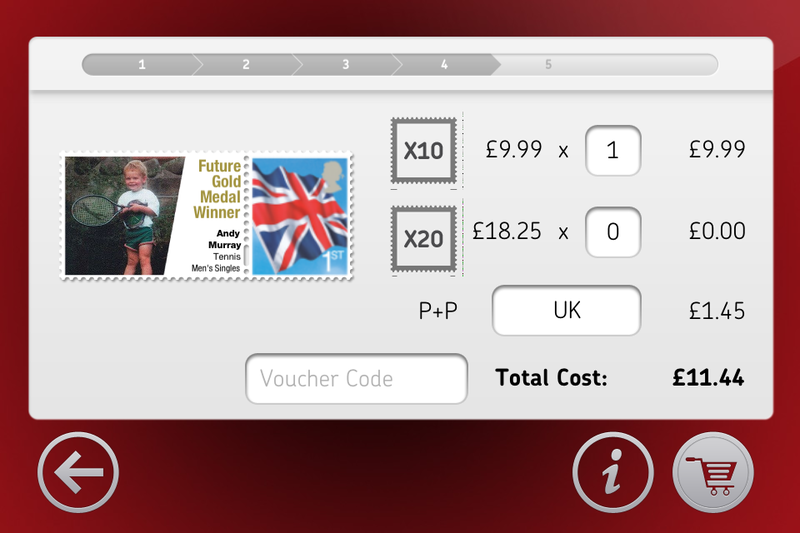 Here is an example of Royal Mail engaging with future 'Young collectors'- as stated above, building on last years Olympic momentum. You could argue that these stamps are becoming more and more accessible to a much wider audience and RM are actively marketing the future of the hobby .. Standby for Stampex for the Philatelic offer.. 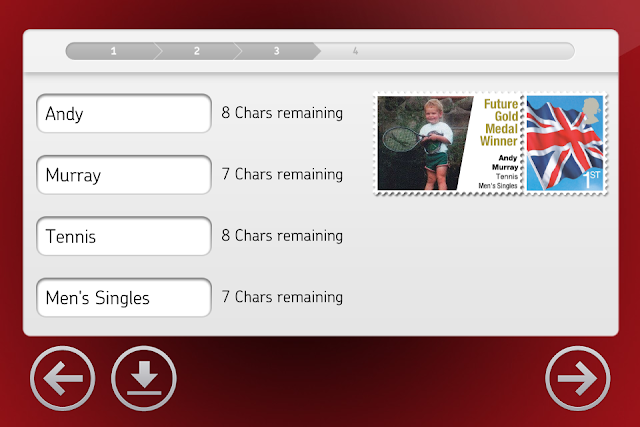 They might be engaging with younger people, but this option should also be available via the Royal Mail/Snapfish Smilers site. It is akin to selling a set of stamps only at Post Offices in England, leaving the rest of the UK out on a limb. I am a bit surprised that LOCOG are allowing this as I thought all the earlier Olympic stamp merchandise had to be withdrawn for copyright reasons last year? You are correct in saying that the License expired on 31 December last. In a sense my subject line is misleading, as there is no Gold Medal stamp involved - the words are only on the label. The stamp, as you see, is the Union Flag stamp. There is nothing to be considered by LOCOG nor the IOC. I suspect the problem stems from the customisable text which you can enter via the iPhone app. The snapfish site is image-only for Smilers, and would probably need some additional work (by Snapfish) to enable the captions to be added. This additional work may not be under RM's direct control, scheduling-wise. This app doesn't work even on an IOS version that is supported. Well clearly it does otherwise our reader couldn't have provided the images, but there seem to be problems currently. If you are a twitter user, ask them @royalmail or use their Facebook page. This new one updated on 21 January 2013 (v 1.6) is NOT compatible with iOS 4.2.1, but it doesn't have a technical spec, just says that it is not compatible with this phone. Are sheets of 10 printed just on the left hand side of a sheet for 20 stamps or on both then the right hand side destroyed. I ask because my recent sheets of 10 have a perforation on the right edge. I've no idea. I only know that if you order 2 x 10 with different pictures you can get them on one sheet if you ask.